A truck which was stranded by floods is pictured at Mabi town in Kurashiki, Okayama Prefecture, Japan, in this photo taken by Kyodo July 9, 2018. 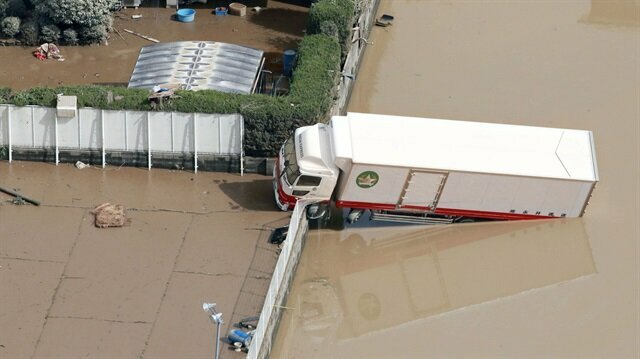 The death toll from torrential rains and floods in western Japan has reached 209, Japanese media reported on Saturday. Citing the National Police Agency, Tokyo-based The Japan Times reported that 209 people are confirmed dead, with many others still missing. Around 700 landslides have occurred in the country’s 31 prefectures over the last week of heavy rains. Japanese authorities believe the death toll will rise further, as over 50 people are missing. 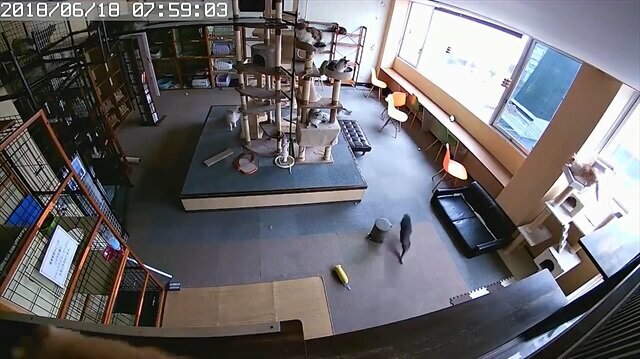 Security cameras captures the moment when cats feel an earthquake 10 seconds before it hits Japan. Search and rescue operations with more than 70,000 rescuers continue in flood-struck areas, including the Hiroshima, Okayama, and Ehime prefectures. According to the Fire and Disaster Management Agency, around 5,900 people remain in shelters. Up to 5.9 million people were ordered to leave their homes in 19 prefectures due to landslides and flooding. The most casualties were reported in the Hiroshima, Ehime, Okayama, Yamaguchi, Kyoto, Gifu, Shiga, Hyogo, Kochi and Fukuoka prefectures. On Monday, Japanese Prime Minister Shinzo Abe canceled a planned trip to Europe and the Middle East due to the disaster.